Maqed Mojed is from Annakhil, near Medina in western Saudi Arabia. [9/11 Commission, 7/24/2004, pp. 232] He attends university (see Late 1990s). Ahmed Alhaznawi is from Hera, Baha Province. His father is an imam at the local mosque and he is reported to attend university (see Late 1990s). 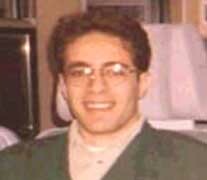 March 1995-February 1996: Hijacker Jarrah Living in New York or Lebanon? 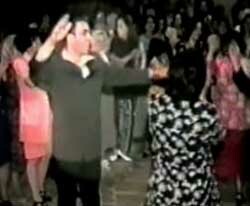 Ziad Jarrah gets down on the dancefloor. [Source: Jarrah family]A man named “Ziad Jarrah” rents an apartment in Brooklyn, New York. [Longman, 2002, pp. 90] The landlords later identify his photograph as being that of the 9/11 hijacker. A Brooklyn apartment lease bears Ziad Jarrah’s name. [Boston Globe, 9/25/2001] The Los Angeles Times reports: “Another man named Ihassan Jarrah lived with Ziad, drove a livery cab and paid the 800-dollar monthly rent. The men were quiet, well-mannered, said hello and good-bye. Ziad Jarrah carried a camera and told his landlords that he was a photographer. He would disappear for a few days on occasion, then reappear. Sometimes a woman who appeared to be a prostitute arrived with one of the men. ‘Me and my brother used to crack jokes that they were terrorists,’ said Jason Matos, a construction worker who lived in a basement there, and whose mother owned the house.” However, another Ziad Jarrah is still in his home country of Lebanon at this time. He is studying in a Catholic school in Beirut, and is in frequent contact with the rest of his family. His parents drive him home to be with the family nearly every weekend, and they are in frequent contact by telephone as well. [Los Angeles Times, 10/23/2001] Not until April 1996 does this Ziad Jarrah leave Lebanon for the first time to study in Germany. [Boston Globe, 9/25/2001] His family later believes that the New York lease proves that there were two “Ziad Jarrahs.” [CNN, 9/18/2001] Evidence seems to indicate Jarrah is also in two places at the same time from November 2000 to January 2001 (see Late November 2000-January 30, 2001). The Al-Quds mosque in Hamburg. [Source: Knut Muller]Future 9/11 hijacker Mohamed Atta and other members of the Hamburg cell begin regularly attending the Al-Quds mosque. Atta becomes a well-known figure both there and at other mosques in the city. He grows a beard at this time, which some commentators interpret as a sign of greater religious devotion. The mosque is home to numerous radicals. For example, the imam, Mohammed Fazazi, advocates killing non-believers and encourages his followers to embrace martyrdom (see 1993-Late 2001 and Early 2001). Atta Teaches Classes at Al-Quds - After a time, Atta begins to teach classes at the mosque. He is stern with his students and criticizes them for wearing their hair in ponytails and gold chains around their necks, as well as for listening to music, which he says is a product of the devil. If a woman shows up, her father is informed she is not welcome. This is one of the reasons that, of the 80 students that start the classes, only a handful are left at the end. Other Hijackers and Cell Members Attend Al-Quds - One of Atta’s associates, Ramzi bin al-Shibh, also teaches classes at the mosque. 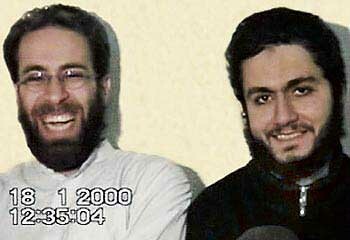 9/11 hijackers Marwan Alshehhi and Ziad Jarrah start attending the mosque at different times and possibly first meet Atta there. Other mosque attendees who interact with the future hijackers at the mosque include Said Bahaji, and al-Qaeda operatives Mamoun Darkazanli and Mohammed Haydar Zammar. Is the Mosque Monitored? - According to author Terry McDermott, German investigators notice Bahaji meeting frequently with Darkazanli and Zammar at the mosque, so they presumably have a source inside it. [PBS Frontline, 1/2002; Burke, 2004, pp. 242; McDermott, 2005, pp. 1-5, 34-37, 72] The German newspaper Frankfurter Allgemeine Zeitung will later report that there probably is an informer working for the LfV, the Hamburg state intelligence agency, inside the mosque by 1999. Somehow, the LfV is very knowledgeable about Atta and some his associates, and their behavior inside the mosque (see (April 1, 1999)). [Frankfurter Allgemeine Zeitung (Frankfurt), 2/2/2003] Radical imam Fazazi will continue to preach at the mosque until late 2001 (see Mid-September-Late 2001). Ziad Jarrah. [Source: Reuters]When traveling with a radical associate known to be monitored by German intelligence, Abdulrahman al-Makhadi (see Late 1996 or After), Ziad Jarrah meets another suspicious Islamic radical. The man, a convert, is known in public accounts only as Marcel K and is the vice president of the Islamic center in North-Rhine Westphalia. In March 2001, the Bundeskriminalamt federal criminal service will begin investigating the center’s president with respect to membership in a terrorist organization. Marcel K is apparently a close confidant of Jarrah, because Jarrah always calls him before taking important decisions, for example when he leaves to train in Afghanistan and when he applies for admission to US flight schools. 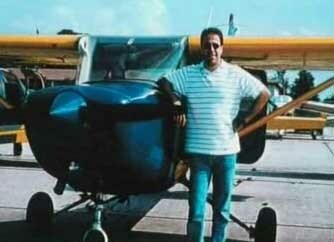 He will also call Marcel K during his pilot training, for the last time shortly before 9/11. [Frankfurter Allgemeine Zeitung (Frankfurt), 2/2/2003] Marcel K will be arrested in a Europe-wide sweep of Islamic militants in February 2003. [Deutsche Welle (Bonn), 2/6/2003; Tagesspeigel, 2/7/2003; New York Times News Service, 2/7/2003] It is not known what happens to him after this. 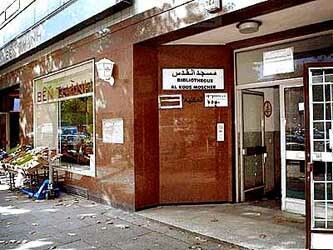 No Action - German authorities are monitoring and wiretapping the phones at bin al-Shibh’s apartment throughout 1999 (see November 1, 1998-February 2001 and 2000), but they apparently do not connect Slahi to the Hamburg militants or do not act on that connection. The Germans will apparently miss another chance to learn of his ties to the Hamburg cell in April 2000, when Slahi is arrested for three weeks in Germany and then let go (see January-April 2000). [US Department of Defense, 4/20/2006, pp. 184-216] Note that the testimonies of detainees such as Slahi and bin al-Shibh are suspect due to widespread allegations that they were tortured into confessions (for instance, see September 27, 2001). The CIA begins an operation to track or question suspected al-Qaeda operatives as they transit the airport in Dubai, United Arab Emirates (UAE). When it is revealed in 2002 that 9/11 hijacker Ziad Jarrah was questioned in January 2000 as a part of this operation (see January 30-31, 2000), sources from the UAE and Europe describe the operation to CNN, and one of them draws a map of the airport, showing how the operation usually worked and how the people wanted for questioning were intercepted. UAE officials are often told in advance of who is coming in and who should be questioned. Jarrah may be stopped because he is on a US watch list (see January 30, 2000). [CNN, 8/1/2002] In 2011, Dubai airport will be considered one of the top five busiest in the world in terms of international passengers. [Airports Council International, 4/30/2011] In the summer of 1999, the CIA also asks immigration officials throughout the Middle East to stop and question anyone who may be returning from militant training camps in Afghanistan (see Summer 1999). 9/11 Hijackers Pass through the Airport - Almost all the 9/11 hijackers pass through Dubai at some point in the months before 9/11, some repeatedly (see December 8, 2000, April 11-June 28, 2001, and June 2001). One of them, Khalid Almihdhar, has his passport photocopied in Dubai by local authorities and the CIA (see January 2-5, 2000). Also, three of the hijackers, Satam al Suqami, Ahmed Alghamdi, and Hamza Alghamdi, are the subject a US customs investigation at the time they pass through Dubai (see September 2000 and Spring 2001), but it is unknown if there is any attempt to track them through Dubai. Future 9/11 hijacker Ziad Jarrah telephones Ayub Usama Saddiq Ali, an imam and Islamic Jihad leader wanted for murder in Egypt. No details about the call are known except that it lasts seven minutes. Ali was convicted of murder in Egypt in 1996, but he fled to Muenster, Germany, and received political asylum there in October 1999. Also in October 1999, Ali was on a published list of the Egyptian government’s most wanted terrorists (see October 2, 1999). He is said to be a close associate of al-Qaeda’s second in command Ayman al-Zawahiri. This phone call will be mentioned in a classified 2002 FBI report about the 9/11 hijackers, but it is unclear how or when the FBI learns about it. [Federal Bureau of Investigation, 1/11/2002; Vidino, 2006, pp. 230; Bild, 3/10/2011] In 2000, Ali will attend a terrorist summit in Italy that is also attended by some al-Qaeda operatives who seem to have foreknowledge of the 9/11 plot, and Mohammed Fazazi, the imam at the Al-Quds mosque that Jarrah regularly attends (see August 12, 2000 and Shortly After). Beginning in 2007, the German government will attempt to strip Ali of his asylum status because of his link to Islamic Jihad. He will lose that status in 2011, but he is not subsequently deported from Germany. [Bild, 3/10/2011] Jarrah will call Ali again in August 2001 (see August 4, 2001). 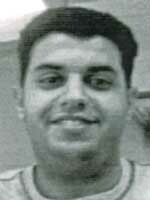 Future 9/11 hijacker pilot Ziad Jarrah is briefly detained and questioned at the Dubai airport (see January 30-31, 2000), and some reports will suggest this is because he is already on a US watch list. It is not known when he may have been put on a watch list or why. The only information about this will come from conflicting accounts as to why Jarrah is stopped and questioned by immigration officials for several hours in Dubai, United Arab Emirates (UAE) on January 30. Ziad Jarrah, in an undated family photo taken in Lebanon. [Source: Getty Images]The UAE wants to arrest future 9/11 hijacker Ziad Jarrah, but US officials say they will track him instead, according to United Arab Emirates (UAE) officials. It is unknown if the US officials actually do so. On January 30, 2000, Jarrah is stopped and questioned as he is transiting through the airport in Dubai, UAE. Officials at the airport have agreed to help the CIA by monitoring or questioning suspicious militants passing through there (see 1999). Conflicting Accounts - There will be some controversy about what happens next. According to a January 2002 FBI memo, “UAE authorities stopped Jarrah, apparently, because he had the Koran superimposed on part of his passport and he was carrying other religious materials.” [Chicago Tribune, 2/24/2004] But according to UAE officials, Jarrah is stopped because he is on a US watch list (see January 30, 2000). Jarrah's Admissions - Regardless of why he is stopped, Jarrah is questioned and he all but admits he has just been to training camps in Afghanistan. A UAE official will later say, “When we questioned him, he said he spent two months and five days in Pakistan, some part of it in Afghanistan.” Furthermore, Jarrah says that he is going to the US to preach Islam and learn to fly airplanes. UAE Officials Track Him to Hamburg; They Notify US Intelligence - After several hours of questioning, Jarrah is let go. He is allowed to board a flight for Amsterdam, Netherlands, but the flight does not leave until the next day, giving officials more time to prepare to track him if they want to. UAE officials are aware that after Jarrah arrives in Amsterdam, he changes planes for Hamburg, Germany. A UAE official will later say, “Where he went from there, we don’t know.” In fact, Jarrah lives in Hamburg and is part of the al-Qaeda cell there with fellow 9/11 hijacker Mohamed Atta and others. According to the FBI memo, this information about Jarrah’s detention and questioning “was reported to the US government.” UAE officials are cautious about mentioning which part of the US government is informed, but the implication is that it is the CIA. [Associated Press, 12/14/2001; Chicago Tribune, 2/24/2004; McDermott, 2005, pp. 186-187] However, it is unknown if US intelligence does track Jarrah. The CIA and United Arab Emirates (UAE) officials apparently fail to warn German intelligence about future 9/11 hijacker Ziad Jarrah. On January 30, 2000, Jarrah was questioned at Dubai airport in the UAE, and the CIA was involved in a decision to not arrest him (see January 30-31, 2000). But even though Jarrah’s flight from Dubai was tracked to Hamburg, Germany, apparently neither US nor UAE officials warn German intelligence about Jarrah. During Jarrah’s brief detention he confessed that he had just come from Pakistan and Afghanistan, and he had a large number of jihadist propaganda videos in his luggage, leading UAE officials to strongly suspect he had just been to a militant training camp in Afghanistan. He also revealed that he has plans to learn how to fly airplanes in the US. An unnamed top German intelligence official will later say: “If we had been given the information that Jarrah had been to Afghanistan and was planning to go to flight school, we might have asked the Americans whether they thought this was normal.… If they had asked us, ‘Who is this guy who is learning to fly?’ then perhaps there might have been a different outcome.” He will suggest German intelligence might have started monitoring Jarrah, and thus discovered the 9/11 plot. However, this official will complain: “But it was one-way traffic [with the CIA]. You gave information, and you got no response.” The CIA will later deny that it has any knowledge of Jarrah before 9/11. [Vanity Fair, 11/2004] Note that a UAE official claims that the CIA said it would secretly track Jarrah from Dubai airport (see January 30-31, 2000). If this is true, it could explain why neither the UAE nor CIA told Germany about Jarrah. 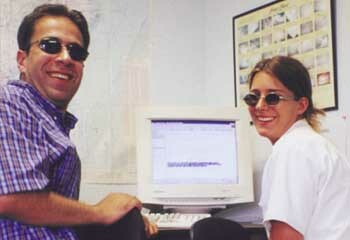 Ziad Jarrah (left) at his flight school in the second half of 2000. [Source: National Geographic]Some 9/11 hijackers open bank accounts in Florida around the time they start flight training there (see July 6-December 19, 2000). Ziad Jarrah opens an account at the First Florida National Bank with a $2,000 deposit and, nine days later, hijacker pilots Mohamed Atta and Marwan Alshehhi open a joint account at SunTrust Bank in Venice, Florida. [9/11 Commission, 8/21/2004, pp. 139 ; US District Court for the Eastern District of Virginia, Alexandria Division, 7/31/2006 ; US District Court for the Eastern District of Virginia; Alexandria Division, 7/31/2006 ] It is unclear whether more accounts are opened at this time, although the New York Times will also say that an account is opened with the Century Bank and that money is paid into this account from abroad (see (July-August 2000)). [New York Times, 11/4/2001] It will initially be claimed that the hijackers provide fake and randomly made up social security numbers. [New York Times, 7/10/2002] However, the 9/11 Commission will say that they did not present or give false numbers, but that in some cases bank employees completed the social security number field with a hijacker’s date of birth or visa control number. [9/11 Commission, 8/21/2004, pp. 140 ] Reports of the number of accounts the hijackers open in the US vary over time (see Late-September 2001-August 2004), although the hijackers are known to have had several other bank accounts (see February 4, 2000, Early September 2000, May 1-July 18, 2001 and June 27-August 23, 2001). Global Objectives, a British banking compliance company, identifies fifteen of the 9/11 hijackers as high-risk people and establishes profiles for them. The hijackers are regarded as high-risk for loans because they are linked to Osama bin Laden, suspected terrorists, or associates of terrorists. The list of high-risk people maintained by Global Objectives is available to dozens of banks and the hijackers’ files contain their dates and places of birth, aliases, and associates. It is unclear which fifteen hijackers are considered high-risk. It is also unknown if any Western intelligence agencies access this database before 9/11. [Associated Press, 2/21/2002] According to the 9/11 Commission, US intelligence is only aware of three of the 9/11 hijackers, Nawaf Alhazmi, Salem Alhazmi, and Khalid Almihdhar, before the attacks. [9/11 Commission, 7/24/2004, pp. 181-2] However, media reports will suggest US intelligence agencies may have been aware of another six: Ziad Jarrah (see January 30, 2000); Marwan Alshehhi (see March 1999 and January-February 2000); Mohamed Atta (see January-May 2000 and January-February 2000); and Ahmed Alghamdi, Satam al Suqami, and Hamza Alghamdi (see September 2000 and Spring 2001). 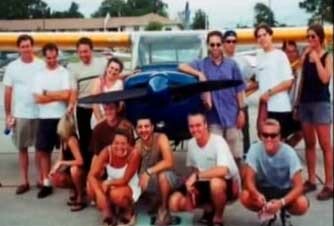 9/11 hijacker pilot Ziad Jarrah and a couple of companions from flying school rent a plane for a trip from Miami to Nassau, Bahamas. There is no immigration departure record, although there is a record of his re-entry. Upon his return to the US, Jarrah undergoes immigration and customs checks, including an inspection of the plane by customs for the presence of drugs, contraband, and currency. [9/11 Commission, 8/21/2004, pp. 16 ; US District Court for the Eastern District of Virginia, Alexandria Division, 7/31/2006] He will later tell his girlfriend that the pilot gets drunk in Nassau and he has to fly back himself, although he does not have a license for the plane. [McDermott, 2005, pp. 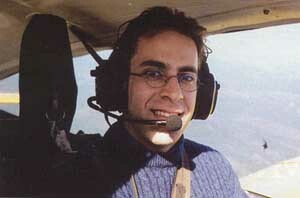 197] Jarrah should not be re-admitted to the US because he is out of status—he breached immigration rules by taking a flight training course despite entering the US as a tourist—but this is apparently not noticed (see June 27-28, 2000). Two images of Ziad Jarrah. The photo on the right is from the wreckage of Flight 93. 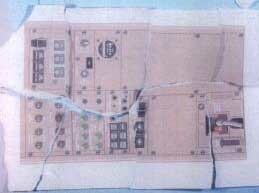 [Source: FBI]There is some evidence indicating hijacker pilot Ziad Jarrah transits Dubai on January 30, 2001 after spending two months in Afghanistan (see January 30, 2001). [South Florida Sun-Sentinel, 12/13/2001; CNN, 8/1/2002] However, the Florida Flight Training Center, where Jarrah has been studying for the previous six months, later says he is in school there until January 15, 2001. His family later reports he arrives in Lebanon to visit them on January 26, five days before he supposedly passes through Dubai. His father had just undergone open-heart surgery, and Jarrah visits him every day in the hospital until after January 30. Pointing out this incident, his uncle Jamal Jarrah later asks, “How could he be in two places at one time?” [Longman, 2002, pp. 101-02] Other accounts place Jarrah in Dubai one year earlier, not in 2001 (see January 30, 2000). If the 2001 version is correct, this is not the only example of Jarrah being in two places at the same time—there is also evidence he was in different places at once from March 1995-February 1996 (see March 1995-February 1996). Additionally, records seem to indicate that Jarrah flies out of the US on December 26, 2000, and then again on December 28, 2000 (see December 26-28, 2000), and then twice on the same day on July 25, 2001 (see July 25, 2001). 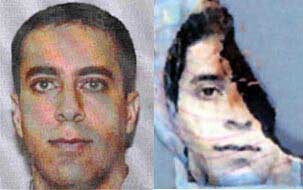 Records indicate future 9/11 hijacker Ziad Jarrah flies from Miami, Florida, to Beirut on December 26, 2000, but then also flies from Tampa, Florida, to Dusseldorf, Germany, on December 28, 2000. The first trip has stops in Munich, Germany, and Istanbul, Turkey. The second flight has stops in Fort Myers, Florida, and Frankfurt, Germany. This is according to a 2002 FBI document about the 9/11 attacks. The document contains an analyst note pointing out that records show Jarrah left the US these two times, but doesn’t attempt to explain the discrepancy except to comment that one or the other flight may be right. Jarrah apparently returns to the US on January 5, 2001, after visiting family in Lebanon. [Federal Bureau of Investigation, 4/19/2002] Additionally, around this time, there are claims that Jarrah is both training in Afghanistan and visiting family in Lebanon. One uncle of his will later ask, “How could he be in two places at one time?” (See Late November 2000-January 30, 2001). Jarrah also seems to leave the US twice in a short time period on one other occasion (see July 25, 2001). 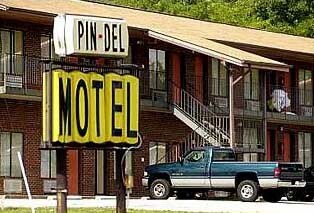 9/11 hijacker Ziad Jarrah takes a trip to Jacksonville, Florida, where he stays for three days at the Ramada Inn. The purpose of this trip is not known, although he will return again one month later (see February 25-March 4, 2001). 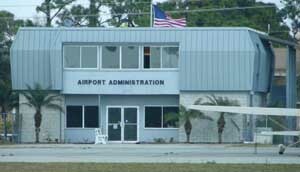 It is unclear how he arrives in Jacksonville, as there is no record of him taking a flight there. However, he is known to have arrived in Newark from Tampa on January 16, and to have bought a ticket on January 15 for a flight from Newark to Tampa on January 22, the day he arrives in Jacksonville. He departs the US on January 26, flying from Jacksonville to Newark and then to Dusseldorf, Germany. [Federal Bureau of Investigation, 10/2001, pp. 120-121 ; US District Court for the Eastern District of Virginia, Alexandria Division, 7/31/2006, pp. 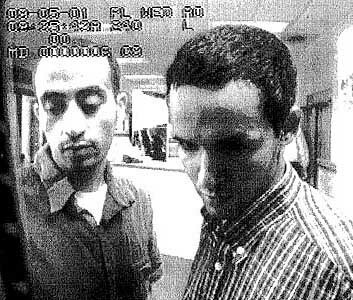 5-6, 22 ] Marwan Alshehhi, and possibly Mohamed Atta, stopped in Jacksonville around October 2000 (see (October 2000)). Future 9/11 hijacker pilot Ziad Jarrah is questioned at Dubai airport in the United Arab Emirates (UAE) over suspected radical Islamist links in January of 2000 or 2001. Initial accounts will place the stop in 2001, after Jarrah has received flight training in the US. [South Florida Sun-Sentinel, 12/13/2001; CNN, 8/1/2002; Corbin, 2003] However, other accounts will place it a year earlier (see January 30, 2000 and January 30-31, 2000). [9/11 Commission, 7/24/2004, pp. 496; Vanity Fair, 11/2004; McDermott, 2005, pp. 186-7; Chicago Tribune, 9/28/2005] In the 2001 version, Jarrah has already started flight training and has a US visa, whereas in the 2000 version he merely tells UAE officials of his plans to get a US visa and receive flight training there. [Corbin, 2003; History Channel, 2004] There is evidence to suggest Jarrah is not in Dubai on January 30, 2001 (see Late November 2000-January 30, 2001). In addition, there is evidence to suggest Jarrah was in Afghanistan in January 2000 (see January 18, 2000). After 9/11, there will be a prolonged debate about the details of Jarrah’s questioning in Dubai (see December 14, 2001-September 28, 2005). Hani Hanjour, who flies a Boeing 757 on 9/11, practices for a total of 21 hours on a Boeing 737-200 simulator (see February 8-March 12, 2001). Fayez Ahmed Banihammad opens an account on July 18. [US District Court for the Eastern District of Virginia, Alexandria Division, 7/31/2006, pp. 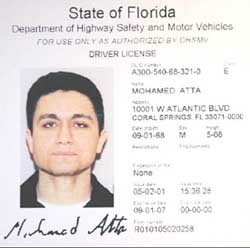 3, 19 ] Many of the hijackers also obtain Florida driver’s licenses and ID cards at the same time (see April 12-September 7, 2001). 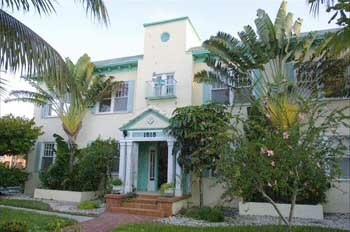 An apartment in Hollywood, Florida, where Mohamed Atta and Marwan Alshehhi lived for a month from May 13. [Source: Patrick Durand / Corbis]Several large deposits are made on the 9/11 hijacker pilots’ accounts. The joint SunTrust account of Mohamed Atta and Marwan Alshehhi receives $8,600 on May 11, $3,400 on May 22, and $8,000 on June 1, when $3,000 is also deposited in Ziad Jarrah’s SunTrust account. The 9/11 Commission will not identify the source of these funds, but will speculate that they may be from physically imported cash or traveler’s checks the investigation did not identify, or funds that were previously withdrawn, but not spent. [9/11 Commission, 8/21/2004, pp. 136-7 ] Alternatively, they may be related to the way in which Mohamed Atta distributes cash transferred to his US bank accounts (see Mid-July-Mid-August 2001). August 13-14: Atta, Hani Hanjour, and Nawaf Alhazmi all fly to Vegas, possibly meeting some other hijackers there (see August 13-14, 2001). Instructor Finds Jarrah Has Poor Landing Skills - Hortman assigns David Powell, an instructor at the flight school, to take Jarrah on a “check out” flight, to determine his piloting skills. Accompanied by Powell, Jarrah flies across the Delaware River to New Jersey and lands at the Flying W Airport in Lumberton. During the flight, Jarrah tells Powell that he is from Germany and that he learned to fly in Florida. Although Jarrah is able to complete the flight, he is deemed to be unsatisfactory in his ability to land the aircraft: He lands the Piper Cherokee, which has fixed, un-retractable landing gear, on the nose gear, rather than using the proper technique of landing it on its main gear. Powell tells him he will have to return the following day for a second check out flight. Ziad Jarrah. [Source: National Geographic]9/11 hijacker Ziad Jarrah takes a trip to Las Vegas, and will reportedly later say he was followed on the trip. One of the hijackers’ associates, Ramzi bin al-Shibh, will later say that Jarrah felt he was followed on a flight from New York to California by “security officers.” Bin al-Shibh will also say that fellow hijacker Marwan Alshehhi was followed on a similar flight (see May 24-27, 2001). 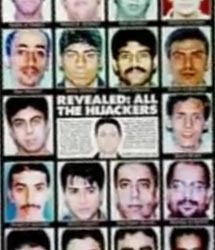 Hijackers Nawaf Alhazmi and Khalid Almihdhar also thought they were followed on a flight to the US (see January 15, 2000 and Mid-July 2000). [Fouda and Fielding, 2003, pp. 135] Jarrah flies first class from Baltimore to Los Angeles on a United Airlines Boeing 757, the same type of plane he will apparently fly on 9/11, and then continues to Las Vegas. Three days later he returns his rental car, having driven 350 miles, and flies back to Baltimore, where he boards a plane back to Fort Lauderdale. [US District Court for the Eastern District of Virginia, Alexandria Division, 7/31/2006, pp. 23 ; US District Court for the Eastern District of Virginia, Alexandria Division, 7/31/2006, pp. 55 ] His uncle will describe the trip as a “gambling junket.” [Los Angeles Times, 10/23/2001] Several other hijackers also travel to Vegas (see May 24-August 14, 2001). Future 9/11 hijacker Ziad Jarrah seems to leave the US twice on the same day. 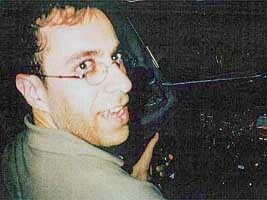 According to a 2002 FBI document about the 9/11 attacks, Jarrah takes a KLM flight from Atlanta, Georgia, to Amsterdam, Netherlands. But the same document says he also takes a Continental flight from Newark, New Jersey, to Dusseldorf, Germany. The FBI document contains a note from an analyst that merely comments this is “conflicting information.” [Federal Bureau of Investigation, 4/19/2002] Jarrah seems to leave the US twice in a short time period on one other occasion (see December 26-28, 2000). Ali Attended a Monitored Terror Summit in Italy - On August 12, 2000, Ali attended a terrorist summit in Bologna, Italy, that lasted for several days and was monitored by the Italian government (see August 12, 2000 and Shortly After). Also attending the summit were Mahmoud Es Sayed, another close associate of al-Zawahiri (see Before Spring 2000) and Yemeni government official Abdulsalam Ali Abdulrahman. 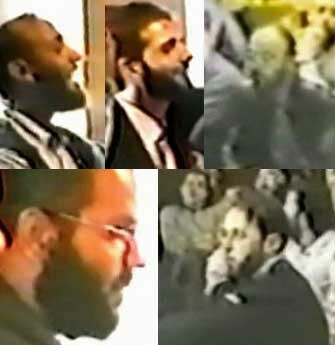 On their way to the summit, Es Sayed and Abdulrahman were overheard discussing an attack using aircraft, indicating they have some level of foreknowledge of the 9/11 attacks (see August 12, 2000). Also attending the summit was Mohammed Fazazi, the imam of the Al-Quds mosque in Hamburg, Germany, that Jarrah and other members of the al-Qaeda Hamburg cell regularly attend (see Early 1996 and (April 1, 1999)). 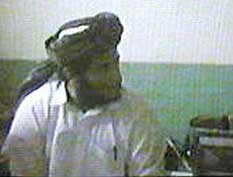 Fazazi will be convicted of a role in a bombing in Casablanca, Morocco, in 2003 (see May 16, 2003). 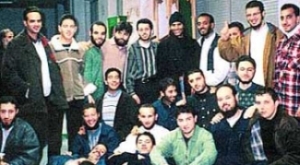 The summit was organized by the Islamic Cultural Institute, which is the epicenter of an al-Qaeda cell in Milan, Italy, that was heavily monitored by the Italian government at the time (see 2000). [Vidino, 2006, pp. 230] It is not known if the Italian government warned the German government of Ali’s presence at this summit, or if Ali was monitored by anyone in Germany after it. Several deposits are made to the 9/11 hijackers’ accounts. Details are available for some of the deposits for eleven of the nineteen hijackers: Mohamed Atta, Marwan Alshehhi, Ziad Jarrah, Hani Hanjour, Nawaf Alhazmi, Khalid Almihdhar, Ahmed Alhazmawi, Fayez Ahmed Banihammad, Hamza Alghamdi, Waleed Alshehri, and Satam Al Suqami. Over $40,000 is deposited in their accounts, much in cash. The largest amounts deposited in one day occur on August 24, when $8,000 is split equally between Hamza Alghamdi’s account and a joint account of Atta and Alshehhi, and September 5, when a total of $9,650 is split between Banihammad’s and Hamza Alghamdi’s accounts, and the joint Atta/Alshehhi account. The smallest deposit is $120, paid into Khalid Almihdhar’s First Union National Bank account on September 9. [US District Court for the Eastern District of Virginia, Alexandria Division, 7/31/2006 ; US District Court for the Eastern District of Virginia, Alexandria Division, 7/31/2006 ; US District Court for the Eastern District of Virginia, Alexandria Division, 7/31/2006 ; US District Court for the Eastern District of Virginia, Alexandria Division, 7/31/2006 ; US District Court for the Eastern District of Virginia, Alexandria Division, 7/31/2006 ; US District Court for the Eastern District of Virginia, Alexandria Division, 7/31/2006 ; US District Court for the Eastern District of Virginia, Alexandria Division, 7/31/2006 ; US District Court for the Eastern District of Virginia, Alexandria Division, 7/31/2006 ; US District Court for the Eastern District of Virginia, Alexandria Division, 7/31/2006 ] Although it is impossible to trace the exact origins of the deposits, possible sources include withdrawals from other hijackers’ bank accounts, cash and traveler’s checks brought in by the hijackers in the spring/early summer (see January 15, 2000-August 2001), car sales, and money distributed by Atta, who reportedly received around $100,000 in early August (see Early August 2001, Summer 2001 and before, and Mid-July-Mid-August 2001). The hijackers obtain identity documents together (see April 12-September 7, 2001 and August 1-2, 2001). Ziad Jarrah. 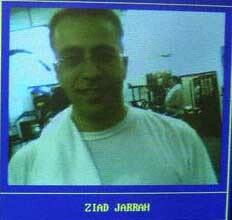 [Source: CNN]9/11 hijacker Ziad Jarrah is stopped in Maryland for speeding, ticketed, and released. No red flags show up when his name is run through the computer by the state police, even though he already had been questioned in January 2001 in the United Arab Emirates (UAE) at the request of the CIA for “suspected involvement in terrorist activities” (see January 30, 2001) Baltimore’s mayor has criticized the CIA for not informing them that Jarrah was on the CIA’s watch list. [South Florida Sun-Sentinel, 12/13/2001; Associated Press, 12/14/2001] Sen. Bob Graham (D-FL) will later make reference to Jarrah’s detention in the UAE and the fact that an arrest warrant had been put out for Mohamed Atta (see June 4, 2001), and comment, “Had local law enforcement been able to run the names of Jarrah and Atta against a watch list, it is likely that they would have been arrested and detained, and at least one team of hijackers would no longer have had a pilot.” [Graham and Nussbaum, 2004, pp. 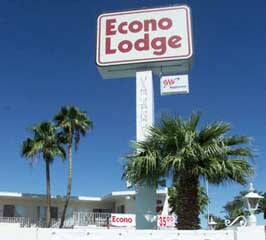 37] Three other hijackers are also stopped for speeding while they are in the US (see April 26, 2001). A bag hijackers Alhazmi and Almihdhar left at a mosque in Laurel, Maryland, is found on September 12. The bag contains flight logs and even receipts from flight schools from San Diego the year before (see September 9, 2001). On December 14, 2001, it is first reported that 9/11 hijacker Ziad Jarrah was stopped and questioned at Dubai airport (see January 30-31, 2000); a controversy follows on when the US was told about this and what was done about it. Continued Denials - In September 2005, US officials continue to maintain they were not notified about the stop until after 9/11. [Chicago Tribune, 9/28/2005] Original reporting on the incident will not occur much in the years after then. German newspaper Der Spiegel reports that Assem Jarrah, a second cousin of 9/11 hijacker Ziad Jarrah, is a spy who has worked for at least three different governments. Assem was born and raised in Lebanon, and moved to Greifswald, East Germany, in 1984. Assem's Alleged Spy Links - According to German intelligence records, one year later he started working for the Stasi, the East German state security service. By 1986, he was also working for the Libyan government, spying on opponents to the Libyan government and “possible CIA front agencies.” He kept East German intelligence informed on what he was doing for Libya, so he was allowed to continue as a double agent. He also had contacts with Abu Nidal’s organization in East Germany and the Palestinian Liberation Organization (PLO). After German unification in 1989, he began working for Bundesnachrichtendienst (BND), the West German intelligence service, and he continued to work for it at least until the mid-1990s. He also went into business for himself, exporting medical equipment and “allegedly even far more sensitive goods into Arab countries.” One of his German handlers tells Der Speigel: “Jarrah played us all for fools. He… had tons of cash, women—simply everything.” Assem denies that he ever spied for anyone. 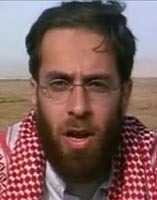 Denouncing Ziad - On September 17, 2001, several days after Ziad Jarrah was publicly named as one of the 9/11 hijackers, Assem spoke to German officials and said that he was certain Ziad was part of the 9/11 plot. 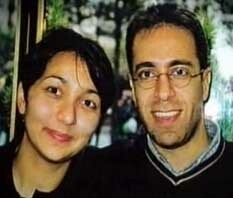 He claimed that Ziad went to Pakistan or Afghanistan in 1999, and when he came back, he yearned to die a martyr. These comments made Assem the only one in Ziad’s extended family to accuse Ziad of being a martyr, and other family members are suspicious and upset. 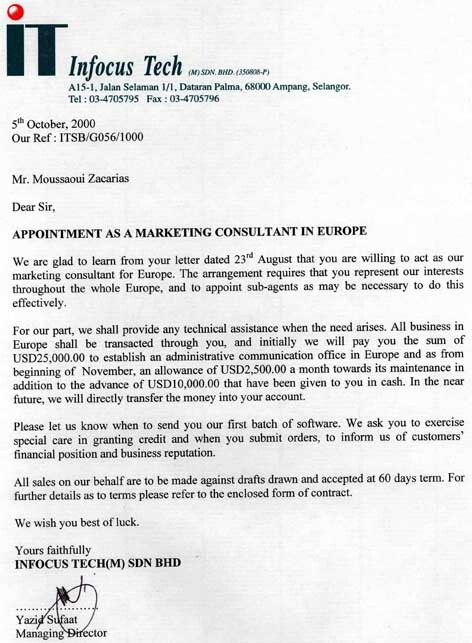 One relative complains, “Assem sells information for money, all the same whether it is true or not.” [Der Spiegel (Hamburg), 9/16/2002] Curiously, Ziad Jarrah allegedly had two other cousins working as spies, also starting in the 1980s (see 1983-July 2008). Mohamed Atta used an ATM in Palm Beach, Florida, on July 19, 2001. Salem Alhazmi and Ahmed Alghamdi used an ATM in Alexandria, Virginia, on August 2. Hanjour and Mojed used a Kinko’s for half an hour in College Park, Maryland, on August 10. Moqed and Nawaf Alhazmi shopped at an Exxon gas station in Joppa, Maryland, on August 28. Waleed and Wail Alshehri wandered around a Target store in Fort Lauderdale, Florida, on September 4. Atta and Abdulaziz Alomari were in a Florida bank lobby on September 4, and the audio of Atta calling Saudi Arabia was even recorded in the process. Fayez Ahmed Banihammad used an ATM on September 7 in Deerfield Beach, Florida. Salem Alhazmi was at the Falls Church DMV on September 7. Low quality surveillance video at the Milner Hotel in Boston showed Marwan Alshehhi and possibly Mohand Alshehri on multiple occasions in the days just before 9/11. Additionally, an FBI document will later be made public that indicates there is footage of Saeed Alghamdi entering the Marriott Hotel at the Newark International Airport on September 8, carrying a black roll along bag (he will not have any checked luggage on 9/11).